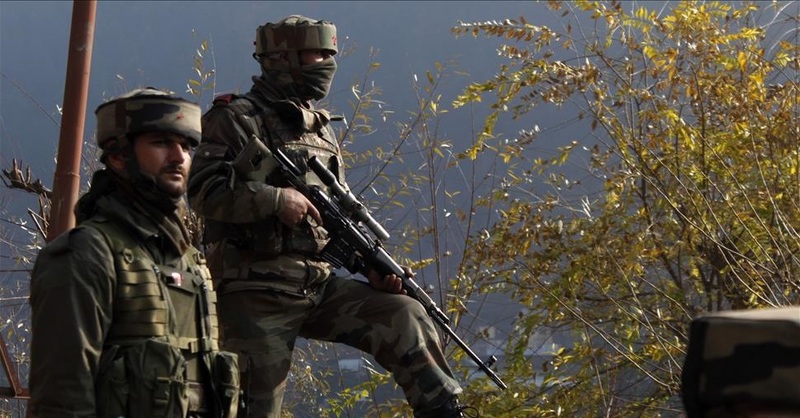 Four Jaish-e-Mohammed militants stormed an Army base barely 50 metres from the Brigade Headquarters in Uri sector, 6 km from the Line of Control (LoC), killing 17 soldiers and wounding 23, nine of them critically, at 4.30 am yesterday. It is the highest casualty suffered by the Army in a single attack in Kashmir in the past over two decades. The four fidayeen involved in the attack were killed. The terror attack took place despite state Intelligence officials forewarning the Army. The well-trained, heavily-armed militants are believed to have crossed the LoC hours before the attack. They breached the 7-foot-high rear wall by cutting the barbed wire at about 4.30 am and sneaked into the Army base that houses an infantry battalion of the 12th Brigade. As they lobbed grenades, opened fire and set ablaze the barracks and temporary shelters, there was utter chaos inside where 10 Dogra Regiment was in the process of moving out, making space for 6 Bihar Regiment. Of the 17 soldiers killed, 15 were from 6th battalion of the Bihar Regiment and two from 10 Dogra Regiment. It is suspected that the attackers knew about the operational handover though replacement of troops along the LoC is kept a guarded secret. “Most casualties were primarily because of tents and temporary shelters catching fire. At the initial stage, soldiers of both the regiments were asleep inside. At least 10 of them were killed,” an Army official said. He said the militants, who belonged to the Jaish group, carried items with Pakistani marking. The 12th Brigade is one of two brigades guarding the LoC in Uri sector, which is heavily forested. Sources said the militants may have infiltrated through Sokar sector and made their way through the dense cover. The Army air-dropped special forces to zero in on the militants. After almost five hours of fierce fighting, all of them were killed. The Army had a tough time shifting the injured to the Army Base Hospital. The state government rushed doctors from the Sher-i-Kashmir Institute of Medical Sciences to the 92 Base Hospital in Badamibagh for assistance. Defence Minister Manohar Parrikar, who reached Srinagar following the strike, said he had asked Army Chief Gen Dalbir Singh to take firm action against those responsible for the attack.